Miura Private Equity, a private investment firm already steadfast in their commitment to social impact, wanted to celebrate their 10th anniversary in a meaningful way and provide their clients with a gift that matched their vision of commemorating their anniversary. They enlisted our help to create a client gift using the olive tree as inspiration to mark this important milestone. To use art to create a meaningful client gift, that incorporates an olive tree and communicates the firm’s dedication to perseverance and social impact. A Gift for Clients | a custom fine-art photograph, created by Philarthropic founder and photographer, Veronica Escudero, was printed on museum-quality paper and enclosed in earth-friendly packaging. The piece was the parting gift for all guests leaving the 10th Anniversary event and a perfect way to end an inspirational evening. 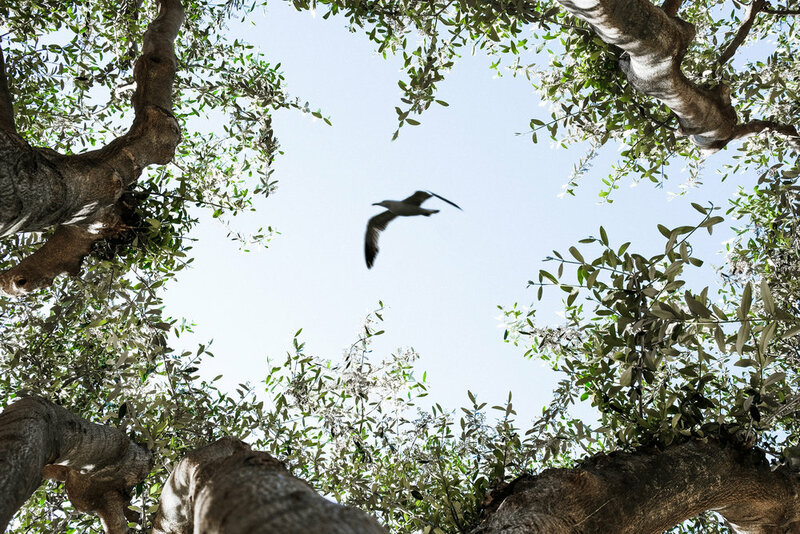 Communication of Company Values | the photograph entitled, “It is only when I’m grounded that I can truly fly” featured a bird flying above an olive tree grove and was accompanied by an explanation of the piece as it related to the objectives of the company’s mission along with a description of the recipient of funds. A Gift for The Designated Beneficiary | as all our projects do, a portion of the proceeds of the photograph benefited a charitable organization. In this case it was mothers2mothers.org, an organization dedicated to eradicating pediatric HIV in Africa. There are many choices in corporate gifting and this corporate partner realized the benefit of partnering with Philarthropic to achieve a variety of their goals. Provide a client gift worthy of the event. Communicate strength, creativity and a commitment to social impact. Use their anniversary as another platform to give back in a meaningful way.